The bridges on Bowman Road east of the school will be closed starting in Spring 2019 through Winter 2019/20 for the Bowman Road Bridges Improvement project. During this time, access to the school will be significantly impacted during morning drop-off and afternoon pick-up times. The school hosted a mandatory parent information night on February 27th, 2019 to inform our parents of the project and its traffic impacts. Below is a copy of the slideshow presentation given during the parent information night. Additional information may be found on the Bowman Road Bridges Improvement project's website, http://www.bowmanbridges.com. We look forward to seeing both old and new faces on the first day of school, August 15th! On August 20th from 5-7 pm we will have a fingerprinting van on campus to fingerprint TK, KDG and any new parents who want to participate on field trips for Bowman School. Please note: If you have already been fingerprinted for Bowman Charter School, you do NOT need to go through the process again. If you are uncertain if you have been fingerprinted, please contact Mrs. Reid in the front office. Bowman Charter School is proud to announce the groundbreaking on its new multipurpose building. The Bowman Multipurpose Building Construction project will add a new athletics and performing arts facilities to our campus. Thank you to our parents, staff, community, steering committee, JK Architecture Engineering, Clark/Sullivan Construction, and Placer County for making this project possible! 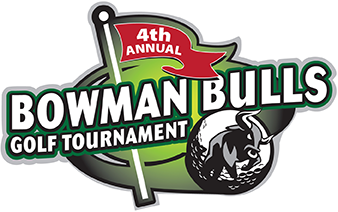 Registration is now open for Bowman PTO's 4th Annual Golf Tournament/Dinner & Auction. This year's event will be held at the Ridge Golf Course on Sunday, April 30th. Individuals, foursomes, and dinner/auction attendees can purchase tickets on the Bowman PTO website. Don't delay, registration closes on April 24th! This year’s endeavor is to raise money for our new Community Multipurpose Center which will include a Gymnasium, Band & Choir Rooms and a separate Media Center. The Ackerman Charter School District, using reserves and financing will begin construction this spring. When completed there will be an amazing new structure and expanded parking with greater ease for ingress and egress. However, there is much to be done to outfit it. Score boards to bleachers, audio & video systems, projectors to flexible furniture, we need it all. Your donations would help support this major undertaking. In our ongoing effort to best serve our students and families, we are seeking responses to our 2016-17 LCAP questionnaire. The input of our parents is important for us in decision making as we move forward. We want and respect your feedback to the questions in the survey. Working together with our parents, we will be better able to provide the very best educational experience for your children. Each family needs to complete the survey only once, and should take approximately 10 minutes to complete. Survey responses must be completed by Friday, March 3rd. Three (3) completed survey respondents will be entered to win a $5 gift card to a local merchant. All surveys responses are anonymous and will not be connected to names entered into the gift card drawing. Parents and guardians will be sent the questionnaire link to their personal email address on file. If your email address has recently changed, please contact the school office to update our records. If you did not receive the email with the questionnaire link, please check your spam folder and then contact the office for further assistance. The Local Control Accountability Plan (LCAP) is an important instrument for measuring our progress as a high-performing school district, and we want to illuminate this process as Bowman works to meet new state requirements. The LCAP is a requirement of the changes to state funding made by the Local Control Funding Formula (LCFF). The LCFF is the state’s new funding formula for education that provides decision-making power to local education agencies, empowering districts to act based on the needs they see for their students. In simplest terms, the LCAP is LCFF’s vehicle for transparency and engagement. It is the way that school districts are expected to share performance data, needs, actions, and anticipated outcomes that guide the use of available LCFF funding.